We aim to show customers representative samples of all our stone. However, please remember that stone such as granite and marble is a natural product formed over millions of years and is subject to variations in tone, colours and markings. The granite and marble products can also show slight cracks, veins and what you the customer may call imperfections – these are a natural occurrence in the stone therefore you the customer must expect and accept the fore mentioned thus no claims by you the customer can be made. In relation to Quartz worktop, there may be shade differences from batch to batch production and hence no claim can me made against the shade differences. Please note that we DO NOT polish the underside of the granite/marble/ quartz surface unless you ask for it as these incur additional cost. All dimensions may vary according to the industry standard cutting tolerances. Dimensions given by you the customer or taken by our representatives are approximate only and may be subject to a degree of inaccuracy until templates of work surfaces are taken and checked for actual dimensions. Prices may be subject to change without notice. All our prices are shown or listed exclusive of VAT. Unless otherwise stated. A deposit of 50% of total cost of invoice will be required on day of placing order and before template. Template date are prioritised based on when the deposit is paid. On these two occasions, Best Granite Ltd will accept a personal cheque but this would delay the delivery date as the funds from the cheque will have to clear at the bank. Preferable method of payment would be by bank transfer, debit card. We also accept cash. Important: Final payment is required on day of installation. When the worktops have been installed and the fitters have finished and are about to clear their tools a representative of Best Granite Ltd will call you, the customer or your representative for the remainder of the balance which equates to 50% or Remaining Balance agreed of the invoice total. This payment can only be accepted in the form of cash or bank transfer. Please note: We do not accept personal cheques on Final payment. If the fitters have to come back at another day due to any unforeseen circumstance to complete the job, then we request you to pay for the cost of the job completed. If the payment is not received on the day of completion, then there will be an interest charge of 8% on the outstanding amount. If you are collecting from our factory premises we will require full payment on placing order. All goods remain the property of Best Granite Ltd until full and final payment has been acknowledged. Please measure carefully. If, on day of templating there is a discrepancy with the measurements, we will notify the customer and advise price accordingly before production commences. N.B Natural stone products are subject to batch variation and we cannot agree that subsequent orders will match the sample originally seen by the customer nor can we be responsible for products that are surplus to requirements. 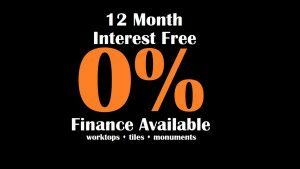 We make every effort to install your worktops from 7 to 15 working days from day of templating date excluding weekends. We like to offer our clients choice and quality and this sometimes means that materials take a while to source. Please enquire about the current lead time for material you are interested in before placing your order. We would not want to disappoint you by failing to meet your work schedule. We will endeavour to fulfil our agreed commitments to all our clients, however we are unable to accept any liability from any loss whatsoever due to delay in delivering/installing our product. 12.00am and afternoon is delivery any time between 12.01pm and 5.00pm. This also applies for templating. ⦁ If any overmounted sink or any tap has been re-connected following templating, they must be disconnected again the day prior to Installation taking place. ⦁ In the event of any plasterwork etc being disturbed during fixing, all making good and subsequent costs are the responsibility of the client. ⦁ Please be aware that we do not have the tools or skills to undertake gas, electrical, plastering, carpentry or plumbing work whilst installing. ⦁ Where jointing of materials is necessary it will not always be possible to secure an exact match between the jointing material and the granite or composite. Please note that jointing lines are therefore likely to be visible, particularly on lighter coloured materials. ⦁ Transport and installation by a third party (customer or their agent) is at the customer’s own risk and responsibility. ⦁ For health and safety and insurance reasons it is vitally important our fitters are allowed to work on their own in the installation/working area until they have finished their work. No third party, customer or other tradesman should be present in the same room or area. We offer a local and nationwide service. Delivery is free within M25. If delivery address exceeds the M25 radius a cost will be applied. The customer will be responsible for congestion payment and parking payments and these costs will be added to the outstanding balance if this is applicable. worktops, such as which side drainer grooves are positioned, the location of the tap, the overhang on the sink cut out, height of upstands, where the joins will be between one worktop and another, the front overhang of the worktop from the carcass, side overhangs, any curves, etc…. Once the templater has gone through with the customer the requirements, the customer will then sign a template form which states that they agree with all the requirements discussed. If the templater finds the units are not level or a support is required, the templater will make a note of this on the template form and it will then be the customer’s responsibility to put this matter right before the installation date. In order to avoid problems with delivery and installation we need to be advised of parking/access conditions at the delivery address and will ask you to provide details before confirming costs. We are unable to accept responsibility for lost working time in the unlikely event of an order being incorrect, delayed or postponed. Further charges would be incurred by the customer to compensate for this. It will be the customer’s responsibility to make our templater and installers aware of parking/access restrictions or to provide them with adequate parking permits up to 5 hours. Once worktops have been installed it is essential the customer or customer’s representative is available to inspect the material and workmanship. The customer will be given by the fitter a Service and Material Satisfaction form to fill in. The customer will receive a copy and we will keep the original. 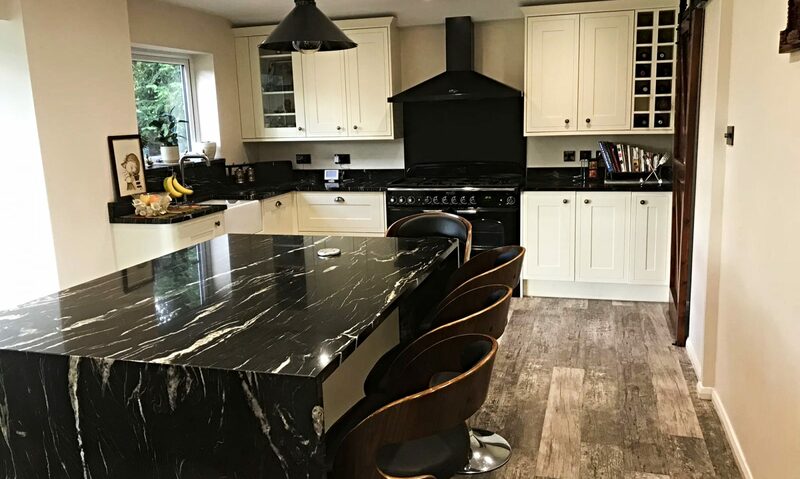 Once the form has been signed, and the customer is satisfied with the workmanship and material a 50% balance will be collected by Best Granite Ltd. (see payment terms). You will appreciate that after our installers leave your premises it is impossible for us to verify any subsequent claim for damage to the material or their surrounds. This being the case, should no one be available to sign off the acceptance form and attach any comments associated with any problems, the client must accept that we are no longer liable. If in the unlikely event the customer is not satisfied with the workmanship, material or product on the day of delivery or installation this must be reported immediately by the customer on the Job Completion form. The customer will then need to contact Best Granite Ltd within 24 hours regarding this matter so we can rectify the problem. These are provided in good faith by the customer/representative. Please ensure they are correct as Best Granite Ltd cannot be held responsible at a later date for inaccuracies relating to the quote based on these dimensions and requirements. Whilst we are happy to offer advice, we are unable to accept responsibility for problems arising from the incorrect fixing of products by a third party, shortages or products that are surplus to requirement. Please note that should conditions be such that we are unable to complete templating or fitting in one visit there will be a charge of £150.00 or £75.00 an hour, whichever is greater. In any circumstance if you require to cancel the order, then we do need 15 days for refund after deducting template cost and material cost if we have done the template or fabrication. Please discuss about these cost before cancelling the order. To pay the balance due on this contract upon completion of the installation to secure the above terms. All work carried out by us is in accordance with the standards and recommendations of the Stone Federation of Great Britain’s Code of Practice for the design, manufacture, installation and maintenance of natural stone or composite kitchen worktops. The placing of an order shall be deemed as full acceptance of these terms and conditions. The customer’s terms and conditions shall not be incorporated into any contract with Best Granite Ltd, and in any event, Best Granite Ltd conditions shall prevail over all the customer’s terms and conditions. Please be advised that standing on the finished worktops is not recommended and we can take no responsibility for problems arising as a result. Once the worktops have been installed, if any form of maintenance or decorating is being done in the same room the worktops must be protected with a covering such as thick sheets, blankets or cardboard. Price is valid for one calendar month from date of issue. Once the goods have been installed and the customer is satisfied with the look and the installation of the product nothing detrimental will occur unless the product has been mistreated or has been wrongly looked after by the customer or third party. The customer must follow the care and maintenance guidelines provided by us on our website to help maintain the natural ageing of the product we have installed.